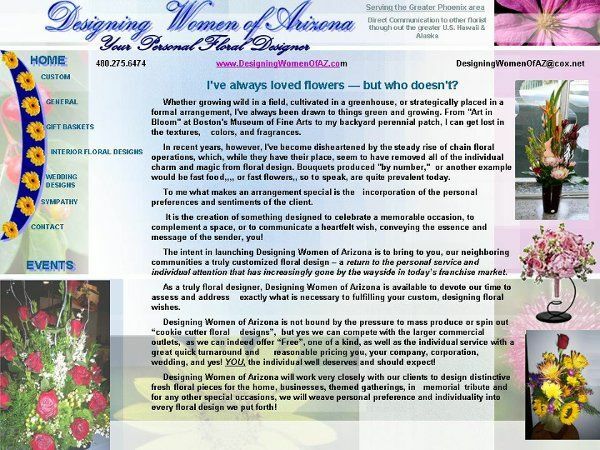 Designing Women of Arizona can "Do it all!" 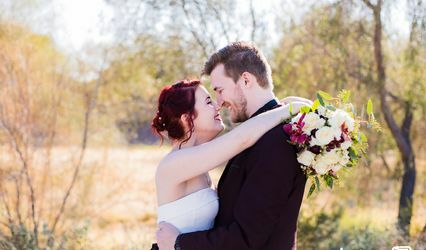 Wedding Specials from $199.00 and up! 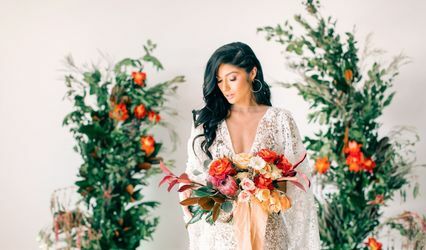 No wedding to small or to large! 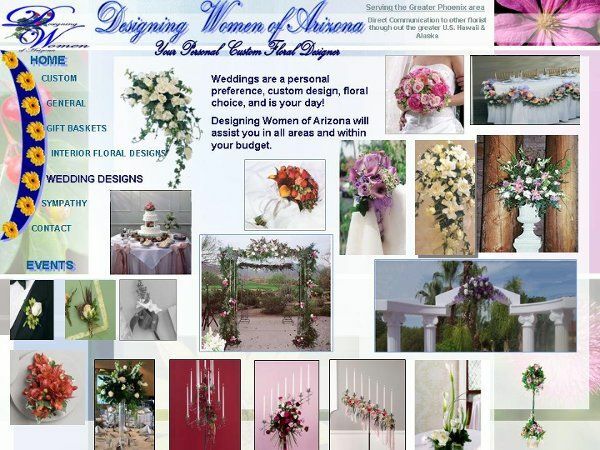 Weddings, Company, corporation event planning at NO CHARGE if you purchase your floral arrrangements from Designing Women of Arizona! 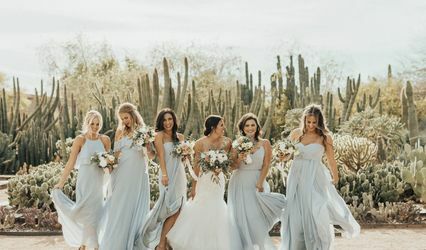 Our staff has over 30 years experience from groups of 2 to ??? 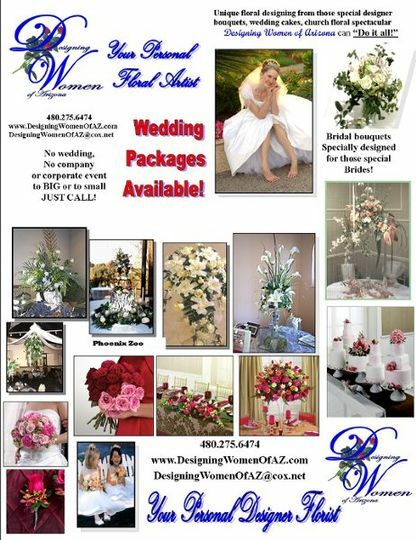 all areas of planning, bouncies to formal dinners to non-profts groups.